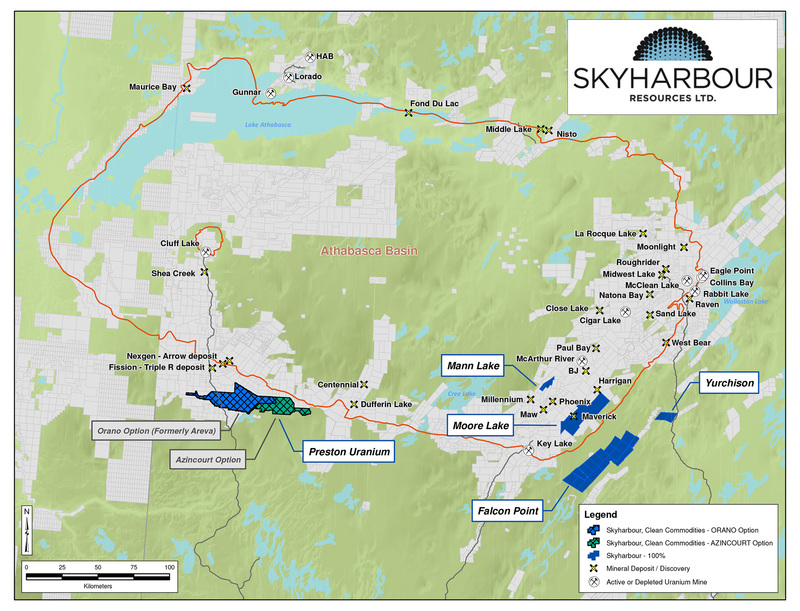 Vancouver, BC - Skyharbour Resources Ltd. (TSX-V: SYH) (OTCQB: SYHBF) (Frankfurt: SC1P) (the “Company”) is pleased to share that Kazatomprom, Kazakhstan’s state run uranium company and the largest producer of uranium globally, has announced production cuts of 20% over the next three years totalling approx. 28.5 million lbs of U3O8. This news comes just weeks after Cameco’s announcement of the planned suspension at McArthur River for most of 2018. With this additional supply curtailment from Kazatomprom, it is estimated that 42.3 million lbs of U3O8 will been removed from the market through 2020 which is expected to have a positive impact on the price of uranium going forward. Today’s announcement is a positive development as the world’s largest producer assumes greater market leadership and the length of the cut was a positive surprise as Kazatomprom has historically only announced production guidance on a year-by-year basis. Earlier this year in January, Kazatomprom initially announced a 10% production cut for the year representing approx. 3.5% of global supply. The announcement today from Kazatomprom cutting 20% of production over the next three years translates to an estimated production cut of approx. 10.4 million lbs U3O8 (7.5% globally) for 2018, and 9.1 million lbs U3O8 (6% globally) for each of 2019 and 2020.